Emmanuel’s father and siblings had all died leaving Emmanuel and his mother who was ill. After a short time of living in hardship his mother also died. This left Emmanuel to fend for himself. He would help fishermen in exchange for small amounts of fish, but soon even the fishermen did not want him. In a very poor physical state Emmanuel tried to get help at Magu but collapsed from lack of food resulting in malnutrition. A good Samaritan found him close to death and took him directly to the Bethany Family. After consultation with social welfare it was felt best for Emmanuel to stay with the family at Bethany. Emmanuel was very malnourished and needed medical attention. He could hardly stand up and appeared very weak and much younger than his years. 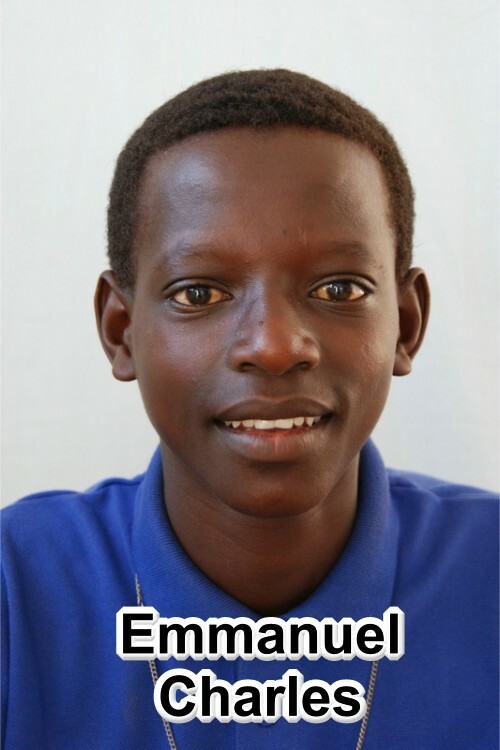 To date Emmanuel is now a fine, healthy boy who can join in with the other children with all their activities. He attends school and works very hard both at school and with the work at Bethany. He seems to be very happy living with the Bethany Family.